From the Southwest, to the Northwest to the Midwest, the next book in the Trailer Food Diaries series features all the best stories and recipes from food trucks across the U.S.A. Join culinary travel author Renee Casteel Cook, alongside Tiffany Harelik and Steven Shomler as they take you through an unprecedented literary food truck tour in Austin, Portland, and Columbus with a few pit stops in Dallas and Houston. 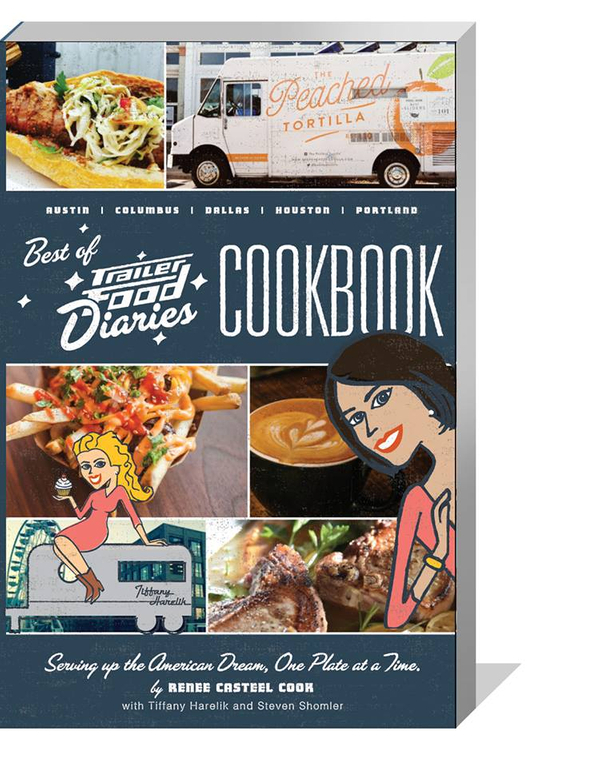 You'll get to read the history behind some of the world's most interesting food cart personalities while learning to make dishes that will soon become your family's favorite thing to eat. From Beef Bacon Cheddar Stuffed Meatballs and Hawaiian Style Ahi Limu Poke to Cardamom Chai Chicken and Marinated Beets with Black Walnuts as well as Tomato Jam, Fried Green Tomatoes and Grilled Asparagus with Strawberry Kalonji Dressing & Cumin Fried Hazelnuts this cookbook has something for everyone, at every table.